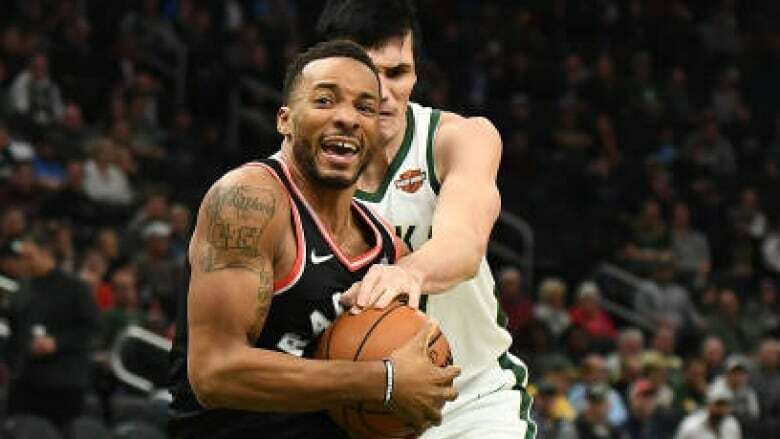 Toronto Raptors guard Norman Powell is out indefinitely with a shoulder injury, the team announced Wednesday. Powell suffered a partial dislocation of his left shoulder joint in the second quarter of Toronto's 124-111 win at Utah on Monday. Toronto Raptors guard Norman Powell is out indefinitely with a shoulder injury, the team announced Wednesday. The Raptors said Powell suffered a partial dislocation of his left shoulder joint in the second quarter of Toronto's 124-111 win at Utah on Monday. Powell is averaging 5.0 points, 2.0 rebounds and 14.9 minutes in 11 games (two starts) this season. The Raptors wrapped up a four-game road trip Wednesday night in Sacramento. Toronto coach Nick Nurse told reporters before the game that he expected Powell to miss "weeks."